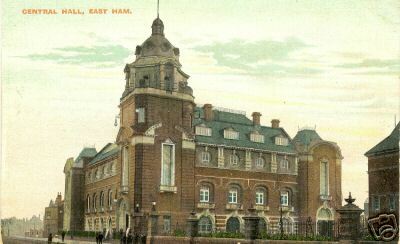 East Ham Grammar Schools. A History. The Old School. Taken from a postcard sent to a patient in the Middlesex Hospital 22nd October 1909. The writer (May) says “Dear Stuart, I am sending the postcard. It isn’t a very nice view” !! The Methodist Central Hall, next to the School, which is just visible on the right. The School building was still there in 2007, used as Council offices. The Central Hall was demolished in 1969. Courtesy Robin Sharp, Head Boy 1972. 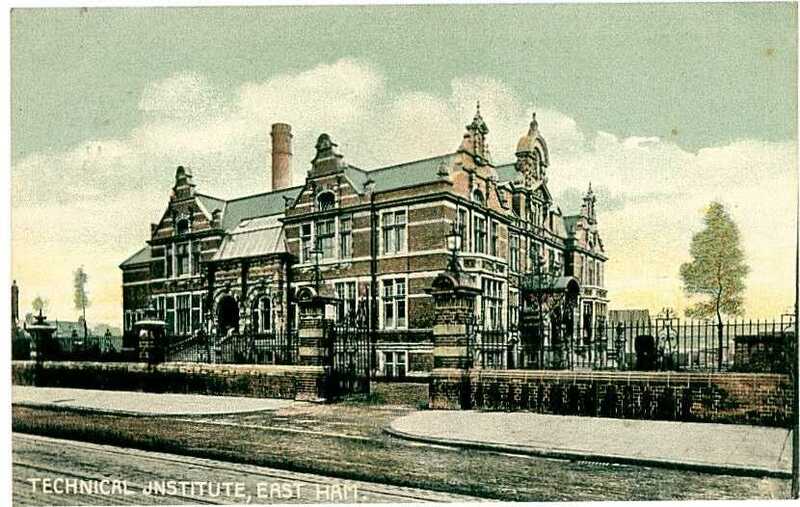 East Ham Grammar School was founded in 1905 as a mixed Boys' and Girls' school. 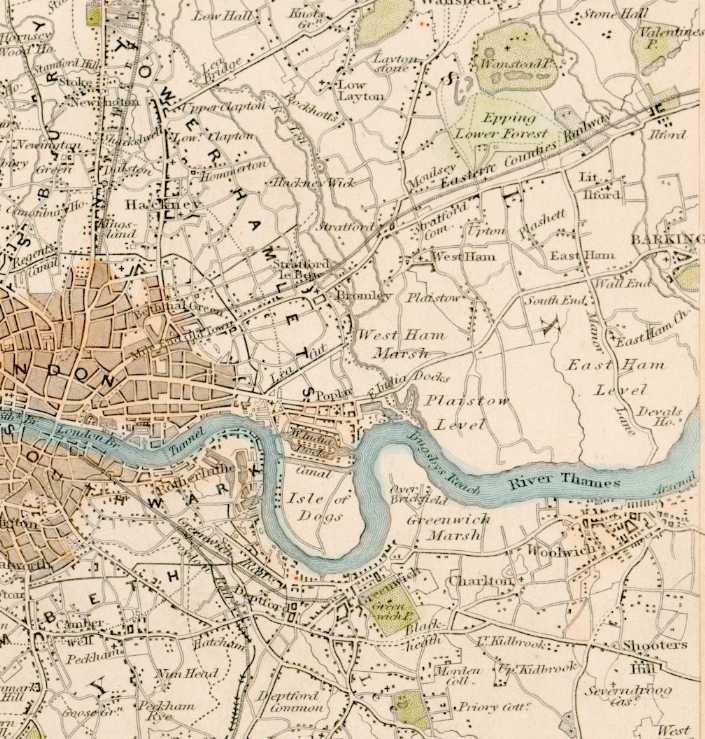 According to 23 Kelly's Directory: Essex, 1922, it was extended in 1909. In 1932 the Girls moved to a new, purpose built, school at Plashet Grove; the Boys remained behind in the 1905 building until 1952. However, during WW2, an Emergency Grammar School for Boys and Girls had been opened in 1940 in the Girls' Grammar School, East Ham, eventually under the Deputy-Headship of Mr. W. H. Lock, recalled from Swindon. One September evening the building suffered a direct bomb hit - but it was a Saturday. In 1942 the Grammar School for Boys re-opened in East Ham with Mr. Andrews in charge, the Swindon juniors remaining evacuated until January, 1943, when the whole School was eventually re-united. The 50th anniversary of the Schools was celebrated in 1955 with, among other things, a Jubilee edition of the Boys' School magazine, The Esthameian. The details on these web pages are taken from that publication, with added post 1955 details. In 1951 new buildings, on a new site, were opened. The Boys moved to part of these in 1952. A few months earlier two new schools had been founded - Burges Manor and Thomas Lethaby Schools - and had moved into their own separate parts on the new site. Their pupils, both boys and girls, came from other schools, like Vicarage Lane and Napier Road , as well as many others around the borough - all the schools having become overcrowded at 11+. (The TL and BM schools did not exist before this). The three schools remained separate, although on the same site, until 1972 when all three were amalgamated under the name of Langdon School. The Girls' school also changed. In the 1950s a site across Plashet Grove from the Girls' Grammar School was developed as Plashet County Secondary Modern School for Girls. The building itself was strikingly modern - a distinct architectural contrast to the traditional 1932 Grammar School building. Simultaneously, the development of new building techniques and lighter materials enabled the Grammar School to expand upwards on its existing foundations. A new second floor was added, providing extra modern facilities. In 1972 the two schools were merged into one as the Plashet Comprehensive School and, in November 2000, the two buildings were linked by the Unity Bridge. Powerpoint presentations of some of the buildings, staff and pupils over the life of the school can be accessed here. The cover of the 1955 Golden Jubilee edition of the Esthameian. Plashet/EHGSfG old students association web site. The text from the Esthameian. 12. "Mens Sana in Corpore Sano"
Below is a site for Old Esthameians to hopefully make contact with other OEs. Complete the form below to register, and follow the guidelines. Thanks. 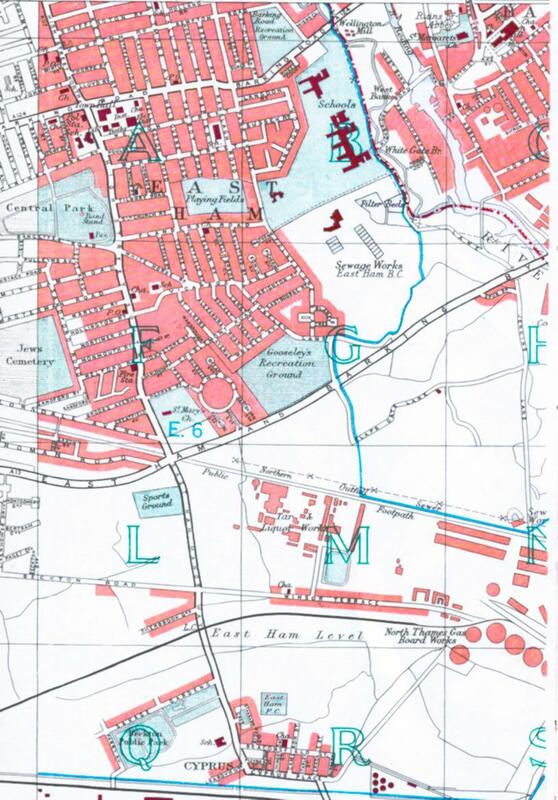 NB: On the 1st April 1965 East Ham & West Ham were amalgamated to become Newham. One or more pages updated: 13 Sept 2013.